From the moment you unwrap the NuForce HEM8 earphones there is an unmistakeable feel of quality to them. The box and carrying case they come in is not only well built, but is an excellent value for protecting your purchase. The box comes with about six really nice ear tips, and some comply foam tips as well. They come in a waterproof hard case that is large and bulky, and includes a smaller, softer rigid carry case. First of all, this is a quadruple balanced armature headphone, which means there are four little speakers on the inside. Each one is handling a little bit of the sound on its own, so that together, they form a cohesive unit. 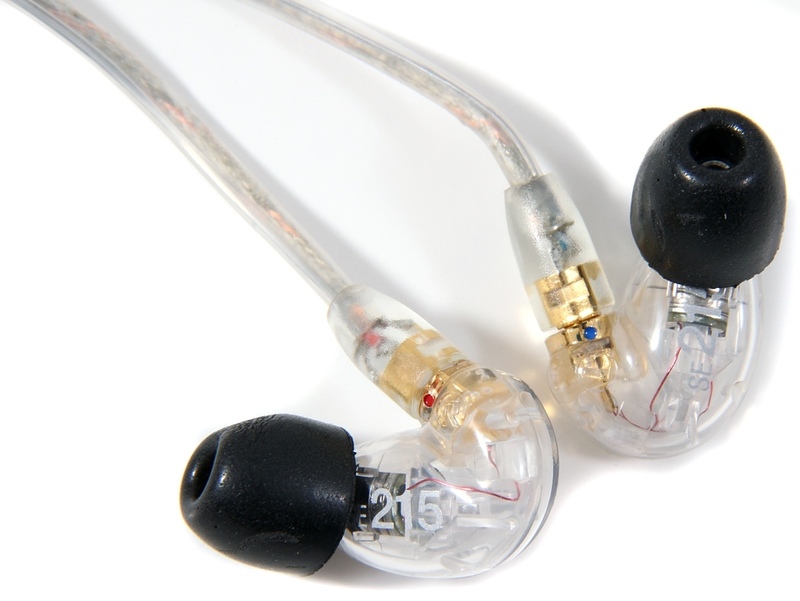 NuForce designed a proper crossover for these, and by taking steps to eliminate resonance within the casing itself, and design the crossover around such resonance. By paying attention to the casing, which many multi driver IEM's leave out, NuForce achieved a crossover that results in a far better balanced armature headphone than I've heard before. I would say overall, that this design results in a clean and cohesive sound that is as detailed as it is immersive. The headphones comes with a hard case, a soft case, and six(!) different pairs of ear tips, meaning no one should have any problem finding ones that fit. And NuForce even went out of their way to include two separate cables - one with a mic, and a second one without the mic, both braided to reduce cable sounds. The cables are replaceable, and due to their quality it’s unlikely they’ll break or be damaged. but you have a replacement if you really need it. It’s a fantastic added value, and really makes a headphone that already feels better than its $500 price tag an even better value. The materials are exceedingly carefully chosen, and the entire package, from headphones to accessories, feels sturdy and high quality. When I first saw these, their small size surprised me. One of the unexpected side effects of designing these headphones like a larger speaker, with taking case resonance into account, is that you get a smaller speaker body than you would otherwise. The resulting package fits really comfortably into the ears. The first song we listened to was Eagles classic "Hotel California." The bass goes deep on the HEM8. Really Deep. But the genius behind them is that the bass doesn’t overpower the mids or highs. Rather, it warms the mids and compliments the crisp highs. The result is a cohesive and immersive sound, with a slightly fun signature - dark and deep bass, and a crisp, detailed treble. The HEM8 had me nodding my head to the beat, and smiling. Our next listen to this was Arctic Monkeys' "Arabella" - another very tough song on most speakers, because the bass is complex and layered. The HEM8's handled it without any problems. The multiple layers were laid out in excellent detail over a 3-dimensional bubble that wrapped around my head. This is the result of a very even soundstage. The lows, mids, and highs are very clearly represented here. Our third song on these was "Drive It Like You Stole It" by The Glitch Mob. Another excellent song with tons of little details that can get lost in the bass. This wasn't the case at all with the HEM8's. All the details and spatial cues came through without any problems and the representation the song was nothing short of jaw dropping. After that came The Pixies' "Is She Weird." The separation between the softer and louder cymbals, and the guitar was incredible. This song truly demonstrates the capabilities of these headphones at the top of the frequency range. Every little detail is flushed out with sparkle, and without any sibilance (the really sharp hissing or "S" sounds). Finally, for the mids and vocals, we listened to "Disenchanted Lullabies" by Foo Fighters. Vocals were clean and crisp, and the guitar, cymbals, drums, never intruded upon the words, instead flowing into a synchronous performance. NuForce has a true winner on their hands with the HEM8. As expensive as they may be, they are an awesome value for the money and the best for their price point, and are for all intents and purposes a miniature version of the reference-level KEF speakers I have sitting on my desktop. The entire time I listened I found myself rediscovering little details in all my music, and was blown away by how great it all sounded along the way.